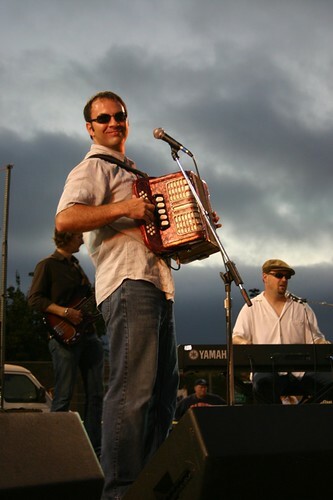 A mix of zydeco and cajun, Southwest Louisiana band Roddie Romero and the Hub City All-Stars. Seen live in Carlsbad, California. Completely fun, wickedly talented. You should also check out The Subdudes, if you like this kind of music. Their first CD is the best.